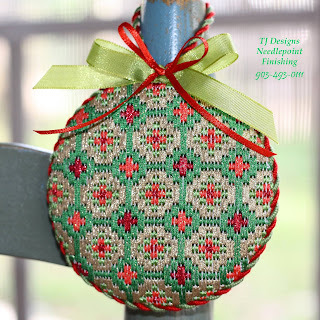 New Club: Have a Quail of a Time! 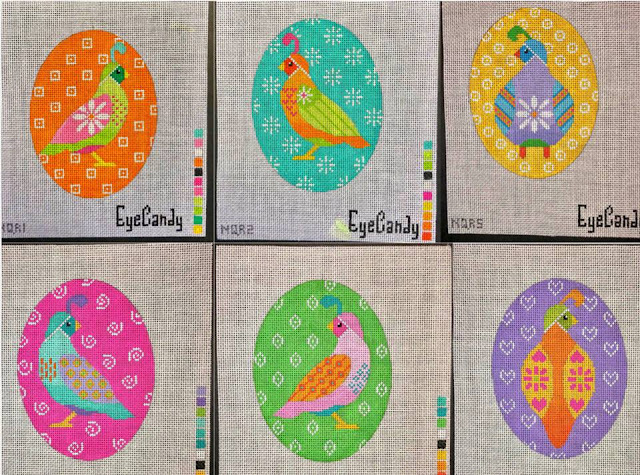 This cute covey of 6 quail canvases is the newest EyeCandy Needleart club series, exclusively for Quail Run Needlework! 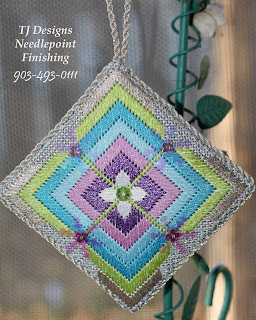 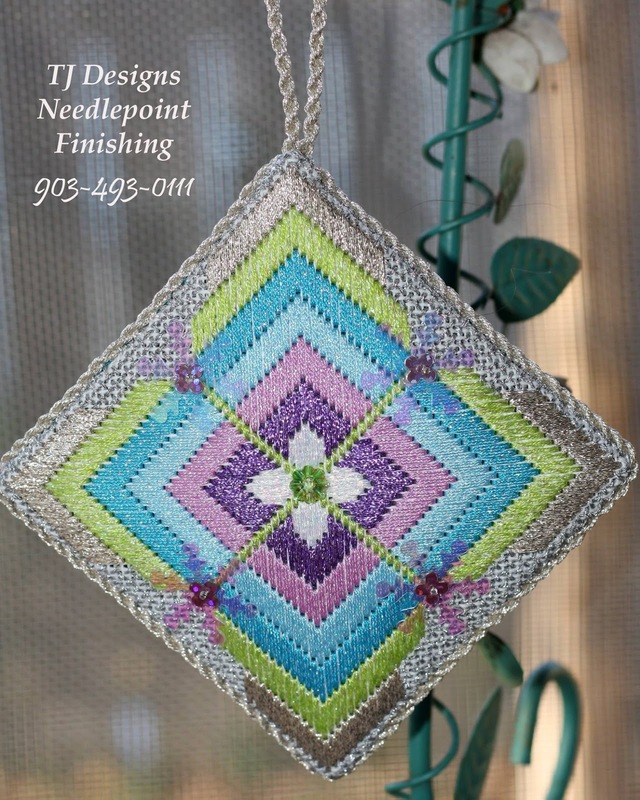 Offered bi-monthly starting this July, canvases will include stitch guide and threads as well as a 10% off discount the finishing for the set. 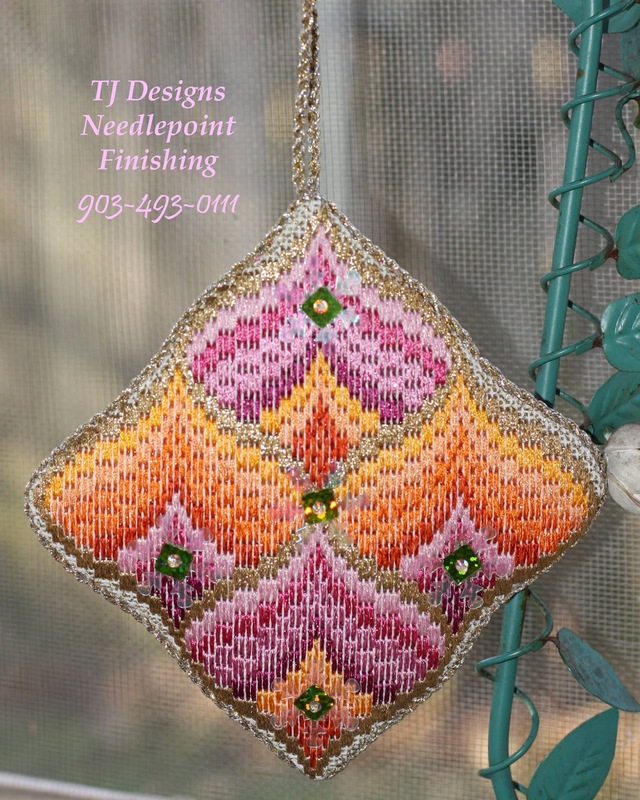 Give Quail Run a call at 480 551 1423 or email at info@quailrunneedlework.com to sign up! 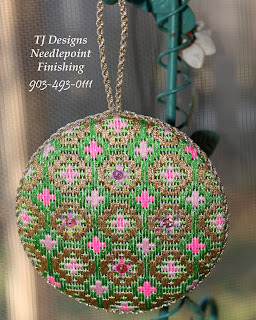 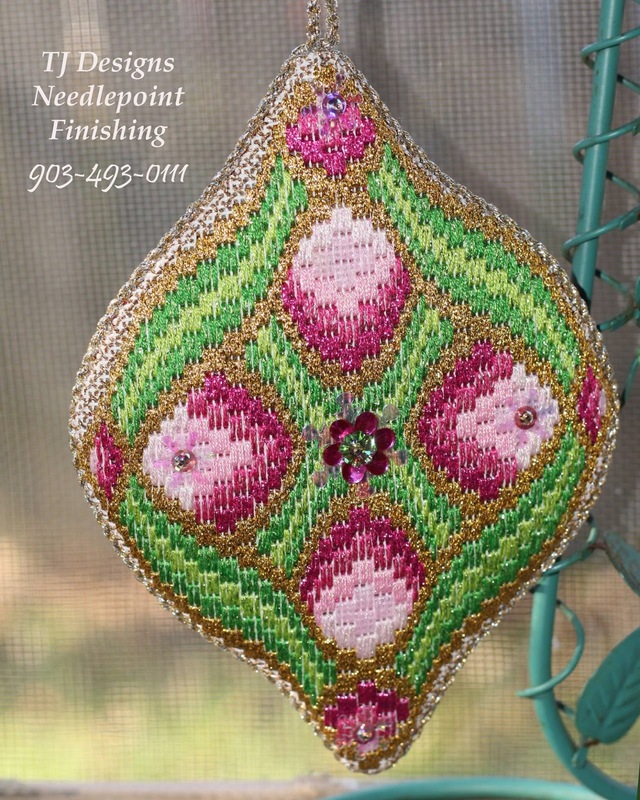 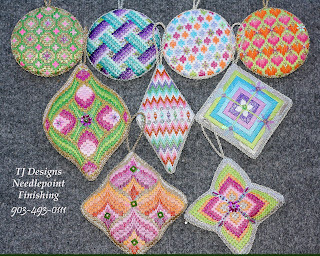 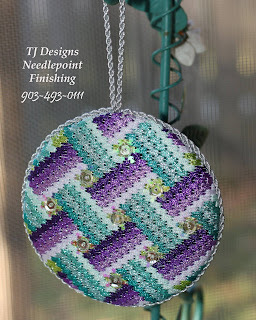 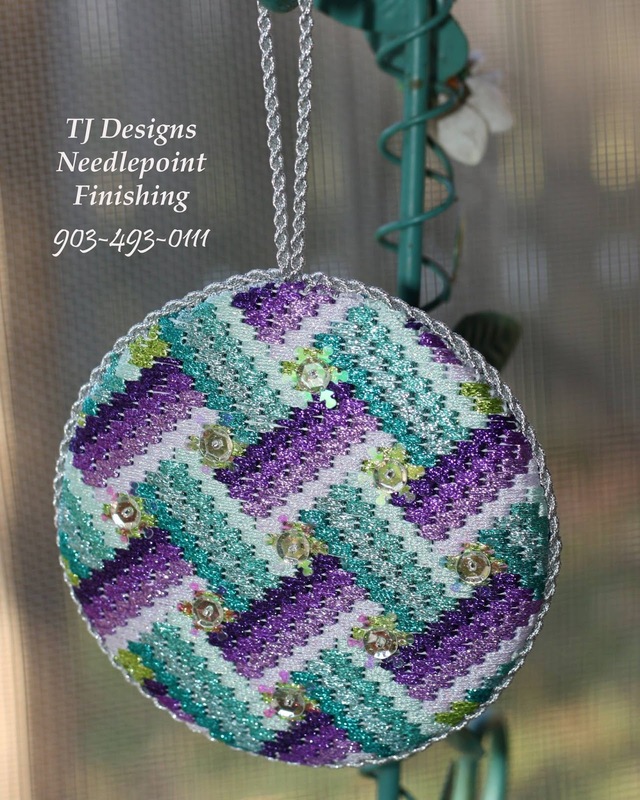 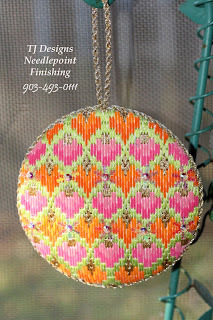 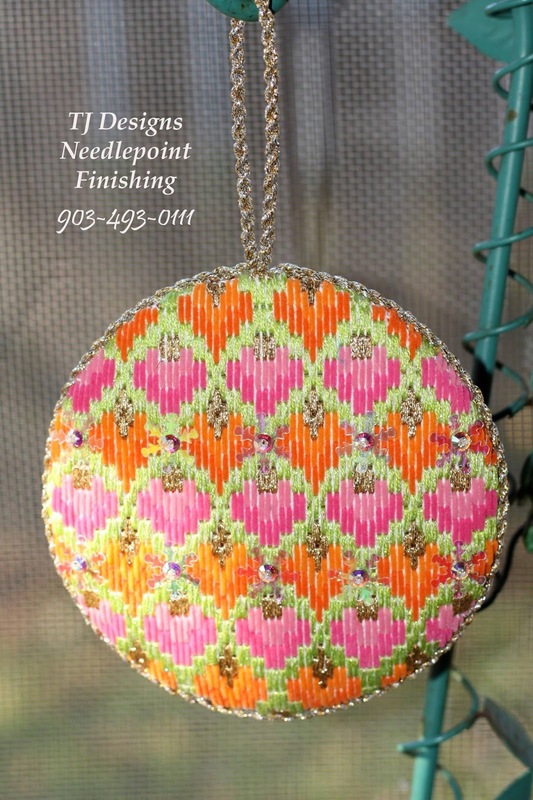 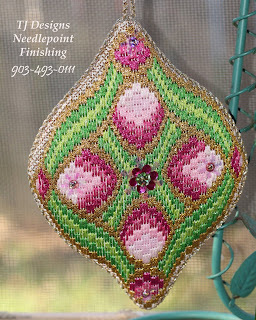 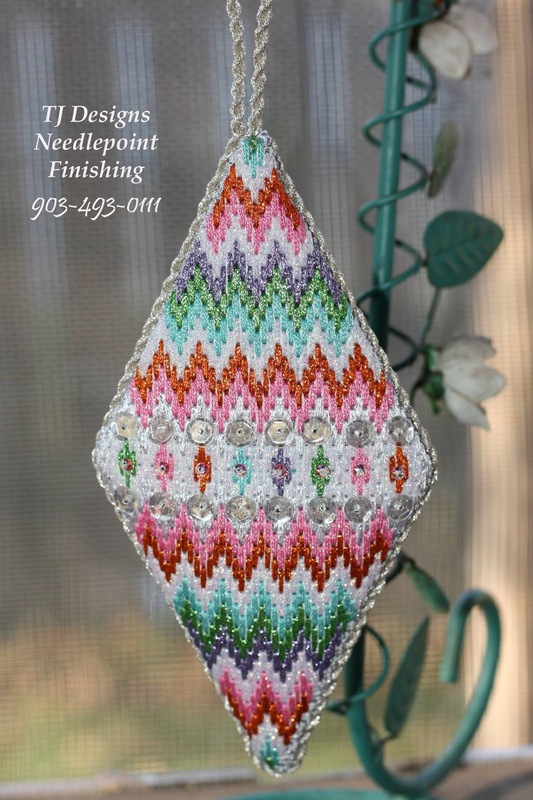 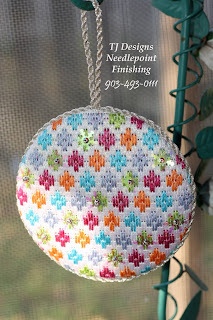 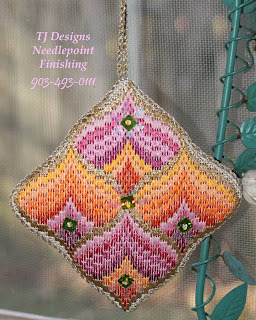 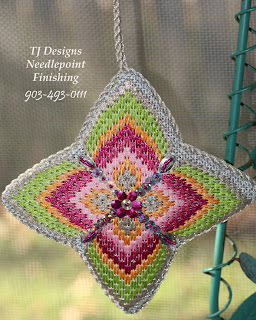 TJ's finishing sure has been busy finishing ornaments from my Bejeweled Bargello club! Here's a look at just a few of them! 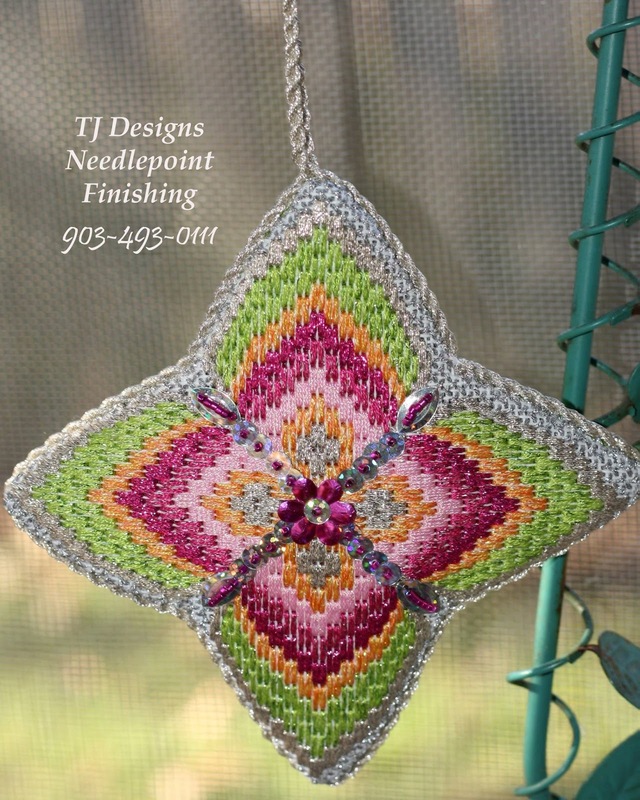 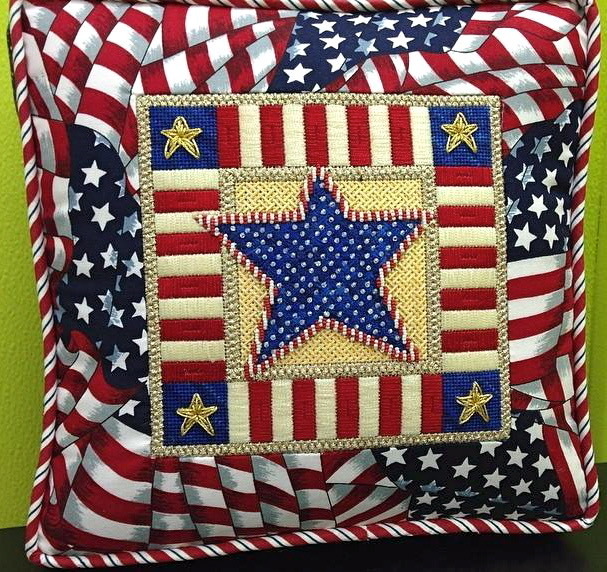 Trunk Show This Month at Bristly Thistle! My Trunk Show will be at the Bristly Thistle in FL for the month of May!